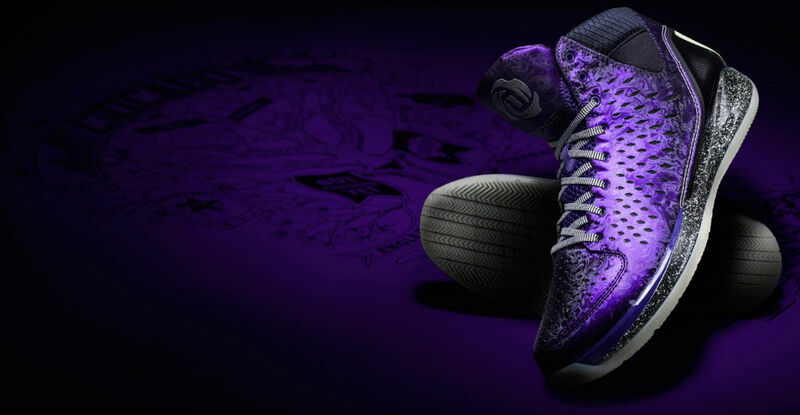 Ahead of the Chicago Bulls' Christmas Day matchup against the Houston Rockets, adidas officially previews the limited edition "Nightmare" colorway of the Rose 3. 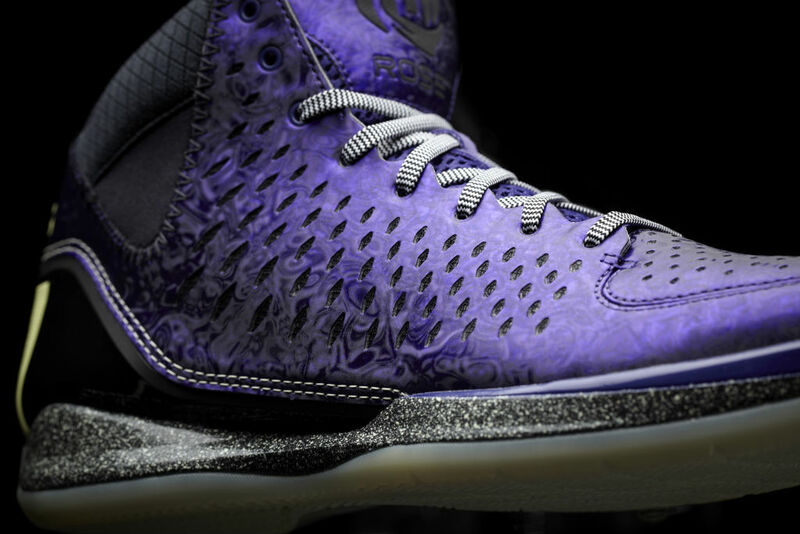 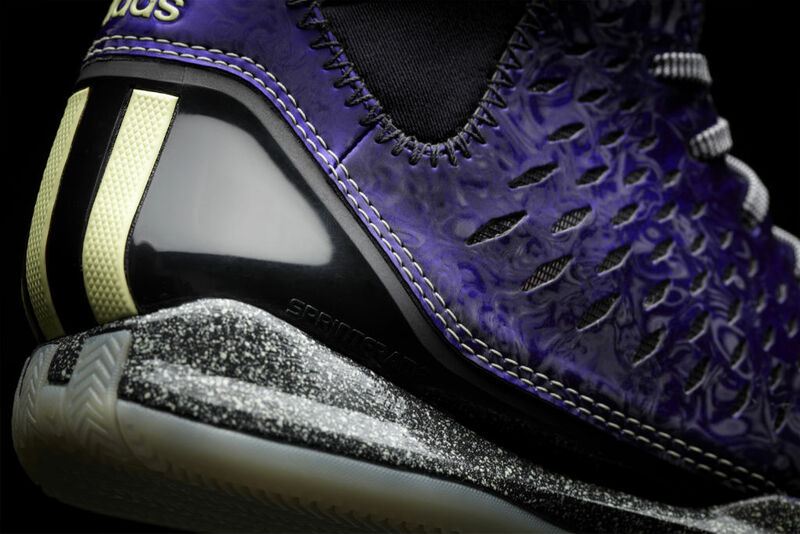 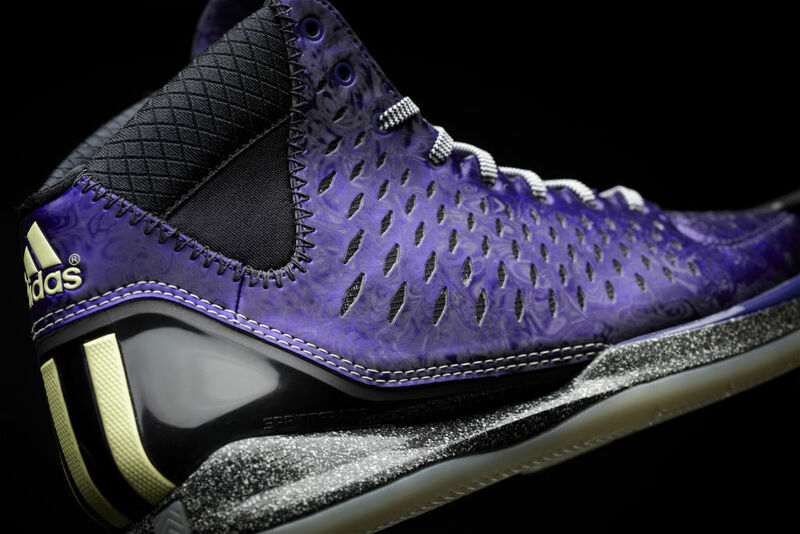 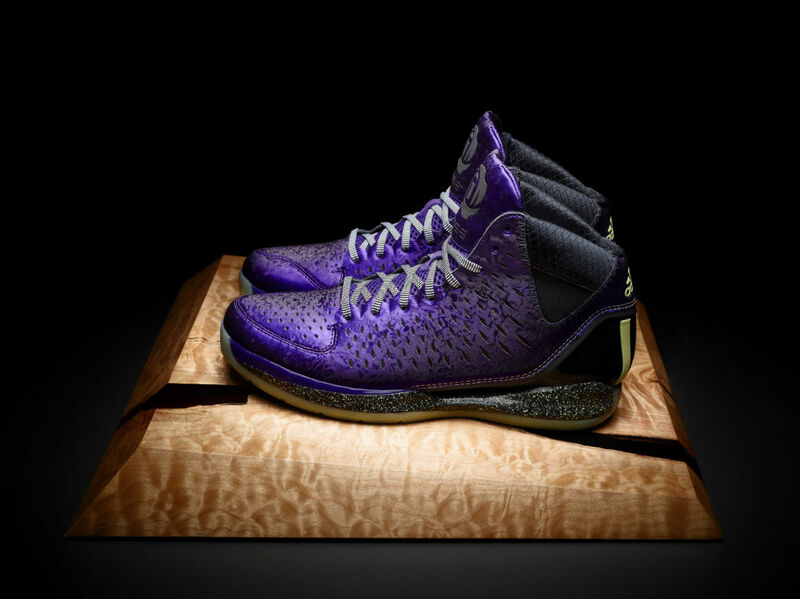 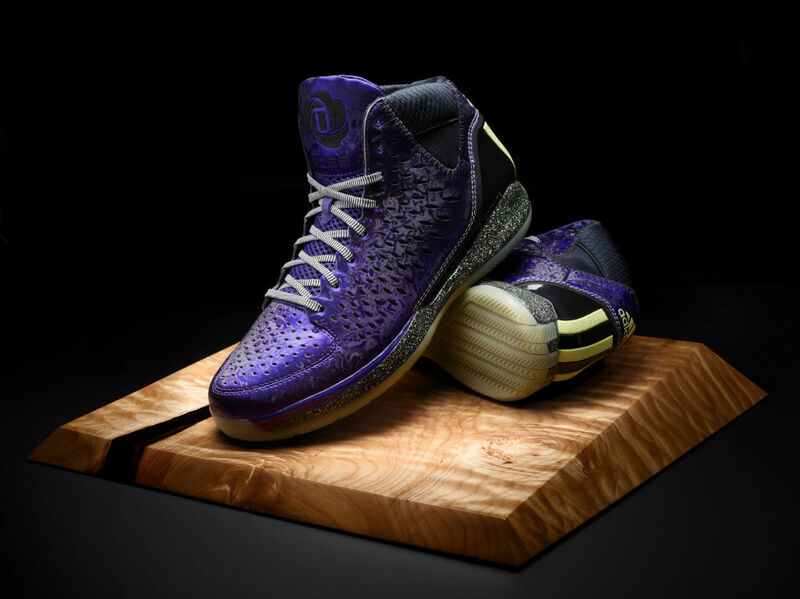 The shoe's purple "vertigo" shimmer synthetic upper represents the nightmares opponents have about guarding Rose. 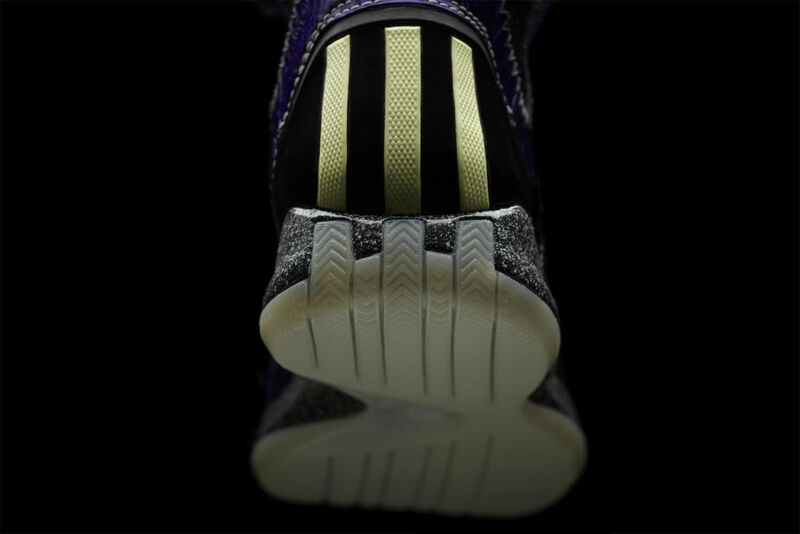 Other features include glow-in-the-dark outsole, black and white speckled midsole and wave patterned black and white laces. 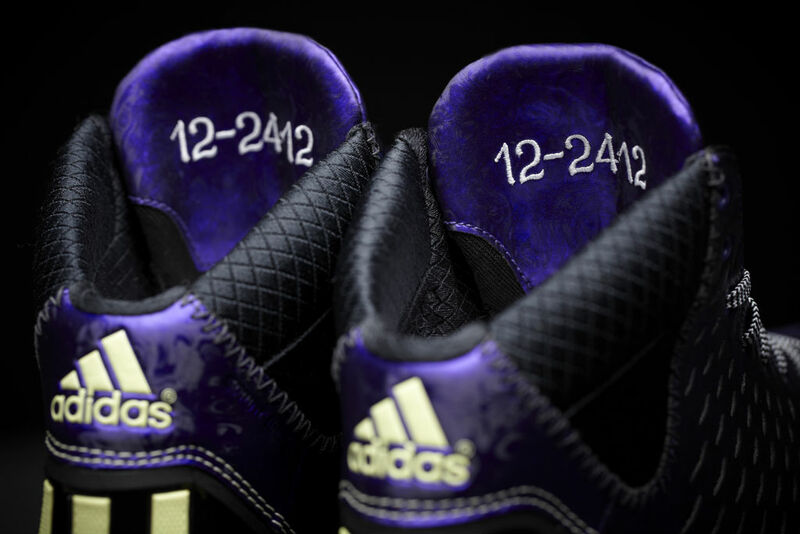 The inside of the tongue features 12-24-12 to represent the day this limited edition pair drops. 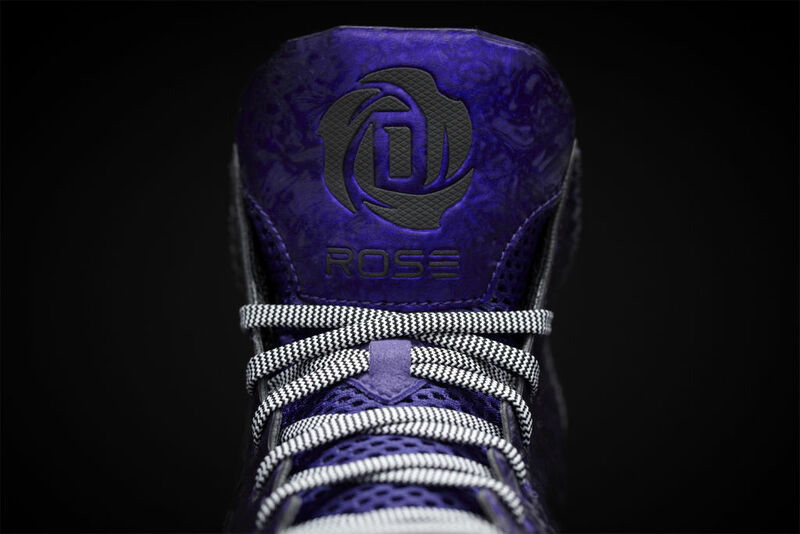 Rose 3 “Nightmare” drops Monday, December 24 for $180 at adidas.com and Eastbay. 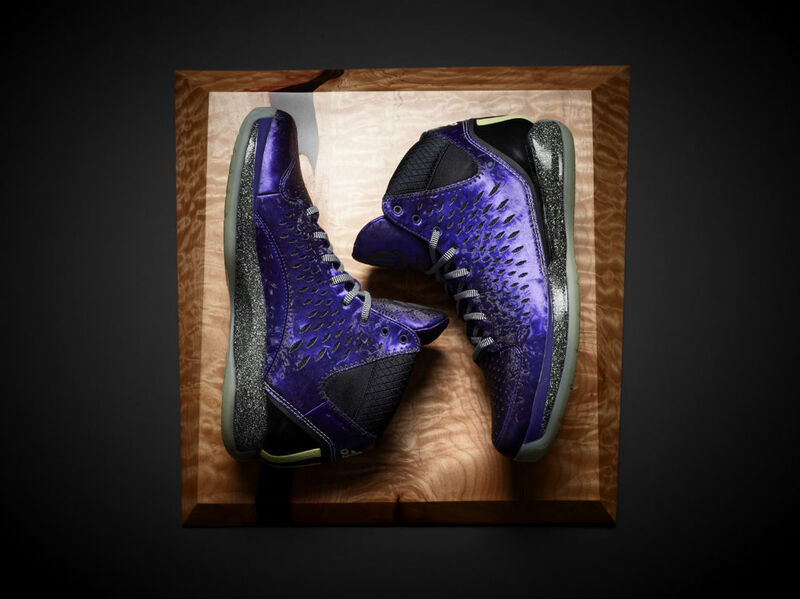 Follow facebook.com/adidasBasketball and @adidasHoops with #drose3 on Twitter for the next exclusive colorway debut.